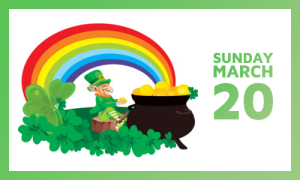 Boston Pride is thrilled to return for a second year of marching in the historic South Boston St. Patrick’s Day Parade. The parade is held on Sunday, March 20th at 1:00 PM and travels from Broadway Station through South Boston to Andrew Station. Participants should line up on Dorchester Avenue by 11:00 AM. We hope you’ll join us for this celebration of veterans, community, and South Boston history.